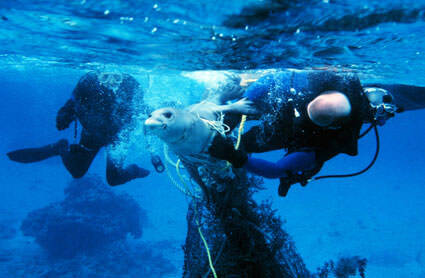 Divers free a seal from fishing nets. The impacts of marine debris such as floating nets are wide ranging. From being an eyesore on a beach to injuring marine life or stopping a 400-ton vessel at sea, marine debris is a problem that we cannot ignore.